Pet sitting is something that has evolved into a career for Julie. As a kid, she was the one bringing home strays and dreaming of horses. Julie became active in 4-H at age 11 when her parents gave into her pleas for a horse with the purchase of Mr. Pringles, an Arabian/quarter horse. 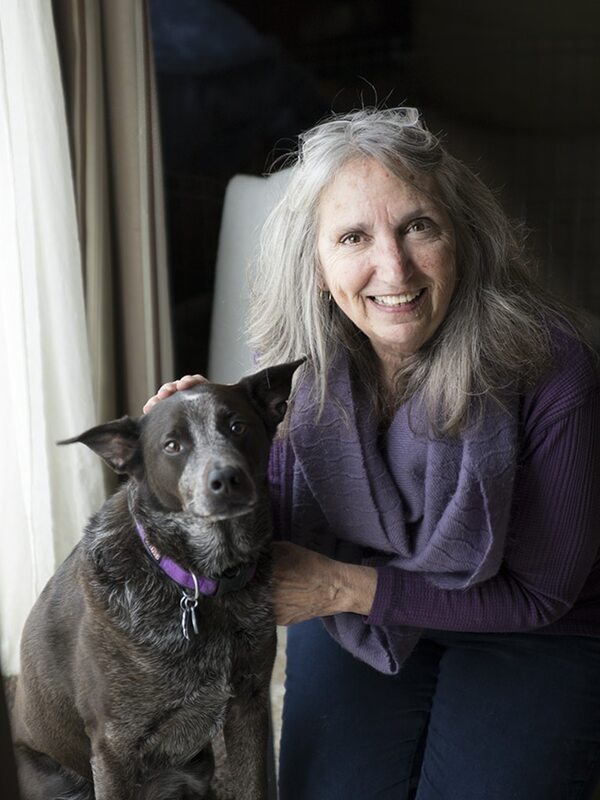 Her passion for animals is innate and over the years her love for all animals has deepened. Our pet sitters/dog walkers are experienced, trained employees who love your pets! Our team is hand picked not only based on their skills and experience, but also their love for animals. They truly care about the pets in their care. Our employees must pass an extensive background check and drug screen before joining the team. Rest assured that your home and pets are in good hands. Our employees work as a team. You will be assigned a primary sitter, but if he/she is sick, on vacation, or can’t be there for any other reason, another team member will be there to step in. You won’t be half a world away worrying about things as you can have peace of mind that your pets will always get exceptional care. We use state of the art pet sitting software, too. The team has an app on their phone that allows them to check in and out of the job, real-time, and marks their GPS location at the beginning and end of their time in your home. They will also send you and email update and photos at the end of each visit. We are extremely proud of our team. Please take time to view their photos and read about them. We think you’ll agree that our team is top notch! We want to care for your pets, and we will always make sure they get the very best care. Mary is the kind of person who everyone trusts right away! As time goes on, our clients trust and love her even more. She is great with the pets in her care and is thorough and responsible with following the pet and home care routines. Bob is a giver. He is involved in many organizations helping people, pets and nature. He can be called on the help in almost any situation. He has a special interest in senior pets and often steps in to help our clients get through tough times when pets pass away. DeAnn has tremendous heart. The dogs shown in the photo with her are all rescues that came to her and her big hearted husband, Rich, in various ways. Some were inherited from family members who passed away and some were from shelters. Each of them gets great loving care in their home. While Karl is very active, staying fit by walking and working out at the gym, you can also find him covered with dogs in his Lazy Boy chair at home! Karl and his wife, Rosemary, are involved with the Meridian Animal Shelter and Fuzzy Paws rescue. Sandi’s first pet was Millie, a Dachshund/terrier mix that her dad brought home one day in his pocket! Millie lived to be 18 years old! This started a lifelong love for pets for Sandi. Another pet, Tigger, was found in a boat, just days old. Sandi bottle fed Tigger and nursed him along. Sandi is retired from HP now. 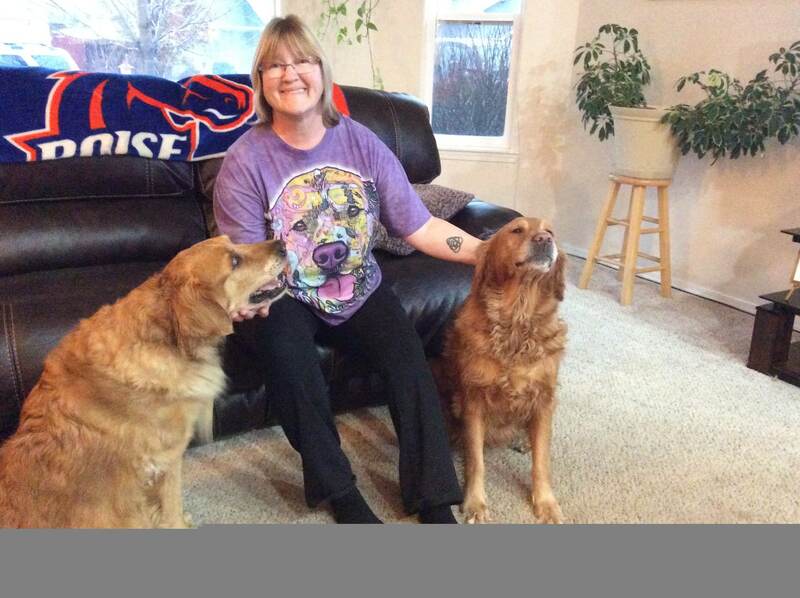 Rachel is a ray of sunshine on The Pet Sitter of Boise team! She always has a smile on her face and is a positive, happy person. She loves all pets, and is always extra concerned about each pet in her care. Alice is a dog’s best friend! Much of Alice’s life is touched by dogs. 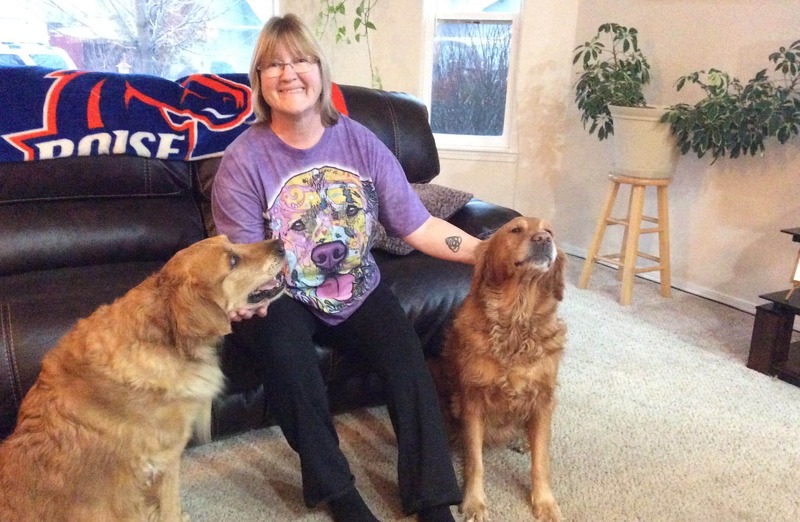 She is dog mom to Sadie and Vegas, two rescued senior golden retrievers. Alice takes her job as their mom very seriously. Lisa’s love for animals began early in life. She had a strong bond with her first pet, a black cat named Tomiseno. Michele has a lifetime of experience with animals. There isn’t much she wouldn’t do for her critters. Connie is a life-long animal lover. Unfortunately, her father was not a pet lover, so she had to endure her minor years without any pets. Erin is an animal lover through and through, so much so that you can see animals in every aspect of her life. Pam is Pam! And we love her! She is unique and quirky and has a standard of pet care all her own. Animals have been a part of Tomi’s life from day 1. Tomi’s parent’s first 4-legged “child” was Suki, a small black mixed breed dog. Suki and Tomi were good friends throughout Tomi’s childhood. Tory’s husband originally wrote to us when he saw our ad seeking employees. He said that the job was made for his wife! We couldn’t resist meeting Tory. And, her husband was right! Josie is a natural when it comes to caring for pets because she grew up with so many. Her first cat was a beautiful calico named Marmalade. She had blue eyes, making her extra special. Like most of us, Jillian has loved and cared for animals her entire life. She began adopting her own pets during college when she rescued her beloved Tabby cat, Miguel. Maureen grew up in Boise and may look familiar. Besides working for The Pet Sitter of Boise, she works at the iconic Edwards Greenhouse in Boise’s North End. Tala loves animals. We hear that a lot from applicants, but Tala backed that statement up with proof! Tala has a wealth of animal experience not found very often. Jessica’s love for pets began at an early age when her family adopted a black and white cat named Sweetie. Jessica was hooked on pets after that and has had many cats and dogs of all ages and sizes since then. We are really lucky to have great gems on our team. Lauretta is no exception. Her love and compassion for animals is pretty amazing. She is involved in numerous animal rescue organizations.